The Ducati 1260 S receives a new HD colour TFT display and semi-active Ducati Skyhook Suspension. Ducati India has just launched the 2018 Multistrada 1260 in the country at Rs 15.99 lakh (ex-showroom), while the Multistrada 1260 S has been priced at Rs 18.06 lakh (ex-showroom). 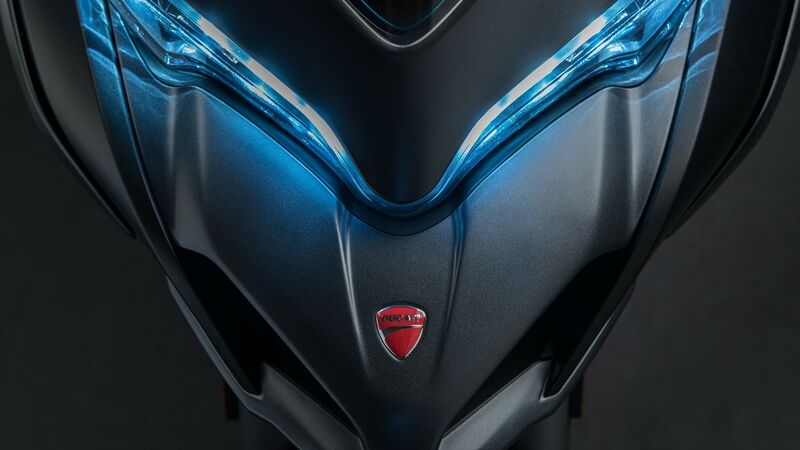 Ducati India announced the launch through its social media today. The new Ducati Multistrada 1260 had made its premiere at the Ducati World Premiere, just before EICMA 2017 in Milan, Italy. 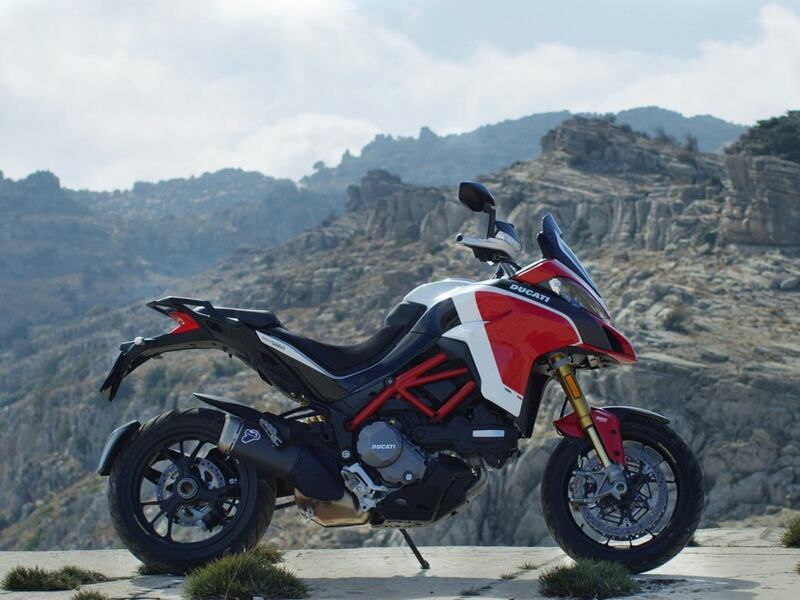 The engine on the 2018 Multistrada 1260 has a larger engine displacement of 1,262 cc due to a slightly longer 71.5 mm stroke than the current Ducati Multistrada 1200, and also features Desmodromic Variable Timing (DVT). You can read our first ride review of the 1260 S here. The DVT on the Ducati Multistrada 1260 combines variable timing with desmo valve actuation which delivers an ideal combination of horsepower, low-rpm torque as well as meets Euro-4 emission norms. The Multistrada 1260 DVT engine is now capable of 160 PS at 9,500 rpm and 129.4 Nm at 7,500 rpm. However, it now gets a very flat torque curve, delivering 85 percent of peak torque from as low as 3,500 rpm, something ADV riders will greatly appreciate. Internationally, the Ducati Multistrada is also available in two more trim levels — the 1260 S D-Air, and the Pikes Peak which features carbon fiber bodywork and Ohlins suspension. To make the most of the new engine, the chassis has been retuned as well. The steering rake has been increased from 24 to 25 degrees, adding 5 mm of trail, and the swingarm is 48 mm longer. This takes the wheelbase to 1,585 mm from 1,530 mm on the earlier model. The longer wheelbase should be able to facilitate more comfortable riding and better stability. The Multistrada 1260 has 48 mm inverted forks up front and a rear shock by Sachs, both fully adjustable. 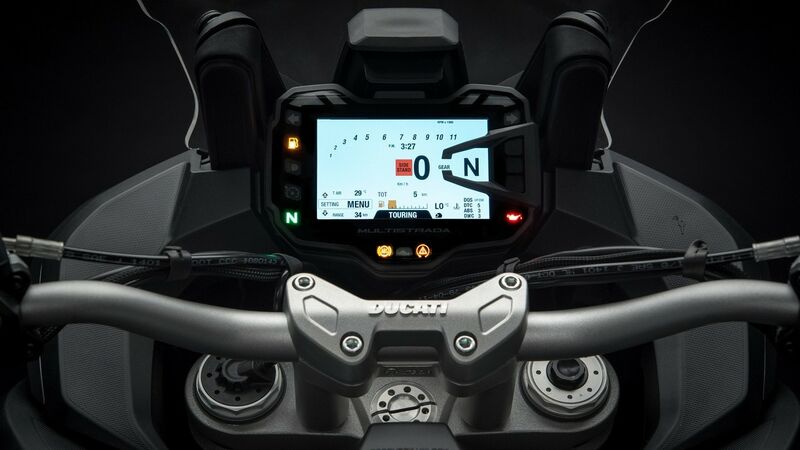 The 1260 S also receives a new high-definition colour TFT display, navigation, semi-active Ducati Skyhook Suspension (DSS), as well as barrage of rider assist options including a vehicle hold control, as well as four riding modes - sport, touring, urban, and enduro.